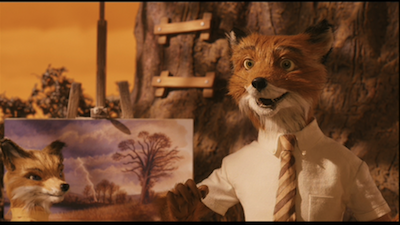 I'm just going to come out and say it: I loved Fantastic Mr. Fox. 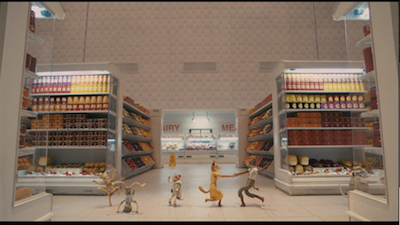 Wes Anderson's stop-motion animated adaptation of the Roald Dahl children's book captivated me from start to finish. It's a charming blend of old-school kids movies, literature, and the sort of meticulous, virtuoso filmmaking that Anderson fans clamor for. Make no mistake, the writer/director's move from live-action adult parables to cartoons has not dulled his aesthetic. This looks and feels just like a Wes Anderson film, from the way the shots are framed and how the characters behave, to the carefully chosen soundtrack and the obsessive attention to detail. It's even a story about fathers and sons, how one fox's midlife crisis causes strife for his wife and child, the familiar emotional terrain of almost all of Anderson's personal epics. Mr. Fox is voiced by George Clooney, and he is the kind of blindly optimistic, cocksure rapscallion this particular leading man has always done well. The film opens as a young Mr. Fox and his wife, Felicity (Meryl Streep), find themselves in a rather sticky situation outside a chicken coop. Mr. Fox is a chicken thief by profession, but when he's told that his wife is expecting, he's also informed that he's expected to settle down. Fast forward several years and Fox, now a newspaper columnist, realizes that he is only six months younger than the age of his father when the old man died. Not content to leave a minor mark when he passes on, he buys his family a home on top of a hill looking down on the area's three most successful farms, owned by the three meanest famers. His secret plan: one last heist, robbing the full trio. 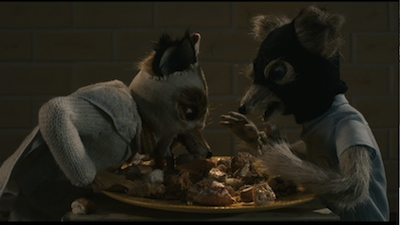 Fantastic Mr. Fox moves at a leisurely pace, regularly stopping to enjoy the world that Anderson has borrowed from Dahl and explore its details. Explanations of the animal children's favorite game, "whack bat," and schematics of the local geography enhance the narrative rather than slowing it down, recalling similar moves that Wes Anderson has made in movies like The Royal Tenenbaums [review] and The Life Aquatic with Steve Zissou. [review] These elements hearken back to one of the themes of the director's earlier pictures, the lesson that the patriarch of each film tries to impart to his children: enjoy the specifics before you lose them. We often forget that children's entertainment is as obsessed with mortality as any high-brow literature or cinema. You're never too young to gather those rosebuds. Which is not to imply that Fantastic Mr. Fox is heavy. It's anything but. This film is a fun romp through the animal kingdom. Eventually, the three farmers--voiced by Michael Gambon, Robin Hurlstone, and Hugo Guinness--have had enough of Mr. Fox's thieving and decide to do something about it. Their hunt for the creature goes overboard, driving all the animals underground, where they reconvene and rise up . The ensuing battle gives Mr. Fox a chance to redeem himself in the eyes of the others and Ash the opportunity to prove his worth to his father (and himself) and reconcile with his cousin. Along the way, there are musical interludes, references to other movies (Willem Dafoe voices a rat straight out of West Side Story ), and many big laughs. It's interesting that two of our most unique modern filmmakers--first Spike Jonze with Where the Wild Things Are [review] and now Wes Anderson with Fantastic Mr. Fox--have chosen to withdraw from adult features and focus on adaptations of all-ages material for their latest efforts. Both have yielded amazing motion pictures with emotional resonance, and each with remarkably similar messages despite having different timbres. 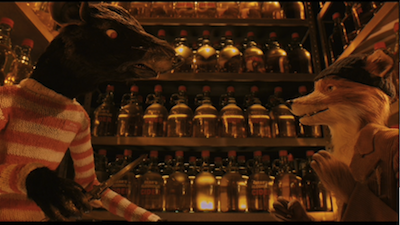 Just as Litte Max had to indulge in some wild rumpusing to understand himself in Jonze's film, so too does Mr. Fox encourage the other animals to be who they are, to let themselves go wild when the time calls for it. It's good to be responsible, but not at the sacrifice of one's sense of self. Bill Murray can provide the voice of a badger and they can put that badger in a three-piece suit, but underneath, he's still a mean ol' badger and even deeper down, still Bill Murray. Another thing that Jonze and Anderson have in common is the creation of a visually stimulating universe using mostly traditional methods. For his Wild Things, Jonze insisted on putting actors in giant Muppet suits rather than creating them using CGI, and the result was that they had a real presence on screen with the boy hero. 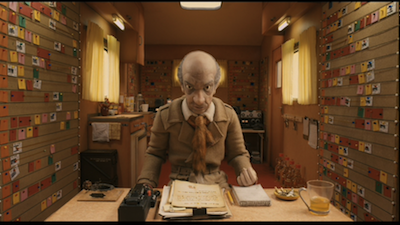 Anderson doesn't have any "real" elements in his animated movie, but his use of stop-motion techniques that have been made all but obsolete by computers lends Fantastic Mr. Fox a nostalgic quaintness that you're never going to find in the Shrek movies. This looks like weird shorts I used to see on PBS when I was a kid, and though some of the production team has groused about Anderson's demands for real hair and the use of other difficult materials, his stubbornness pays off. The animation looks remarkable on the screen, and I quite regularly forgot that I was watching a cartoon. 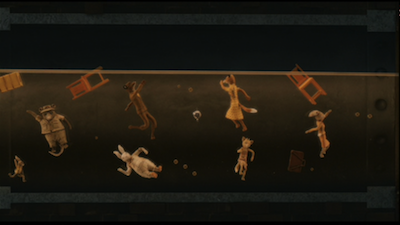 Though there is nothing extra in the credits, I urge folks to sit through them and see how many people it took to make Fantastic Mr. Fox. This type of thing really does take a village. Beyond the animators, part of the success of the film's believability is also owed to a smart cohesion between animated object and actor. Anderson achieves Pixar-level casting, having his animators borrow mannerisms from Clooney and Schwartzman and the rest in such a way that the performance becomes so believable, you stop hearing the famous voices and instead hear real characters talking. It's easy to line up a superstar cast, it's much harder to get the right people for the job. These creatures have personality and panache, and even the smallest part is thoughtfully considered. 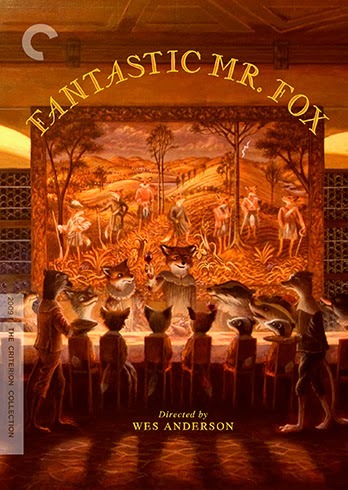 I am sure that there will be much debate about Fantastic Mr. Fox. I am sure some badger-types will insist that the vision of Roald Dahl is sacrosanct, and others will question the occasional adult touches; others will grouse that Anderson is too precious for his own good, the way they so regularly do. Let them cuss and shout those complaints loudly; I will cuss louder. Bottom line is that Fantastic Mr. Fox is a youthful, joyful effort from a filmmaker who has spent his career chasing his childhood visions. I'm happy to say that with this feature, Wes Anderson has finally caught up with them. This review was originally written for the theatrical release of the film; images are taken from the 2009 DVD edition.